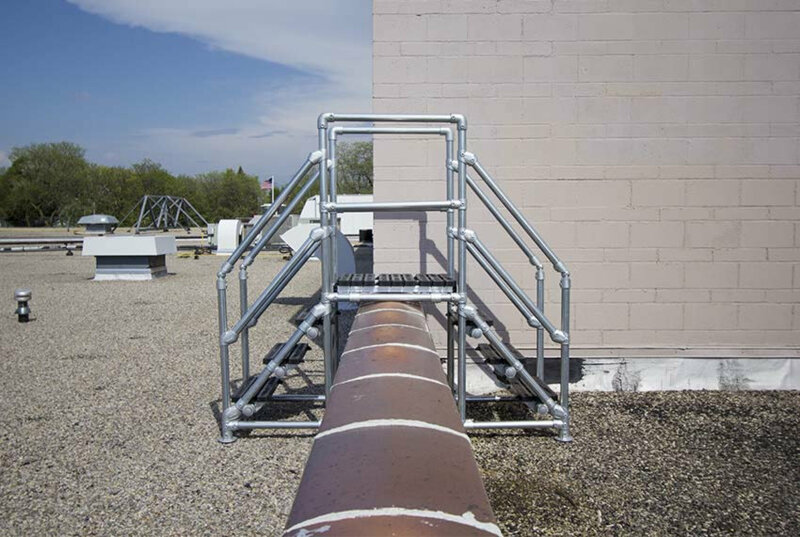 Safe access platforms that meet or exceed OSHA platform standards. Pre-engineered designs ensure both stability and protection. Workers can easily and safely access the work area without stressing their body. Safe Access Platforms are easy to assemble, configure, adjust, and take apart. All of this can be done on site without the need of specialized labor. 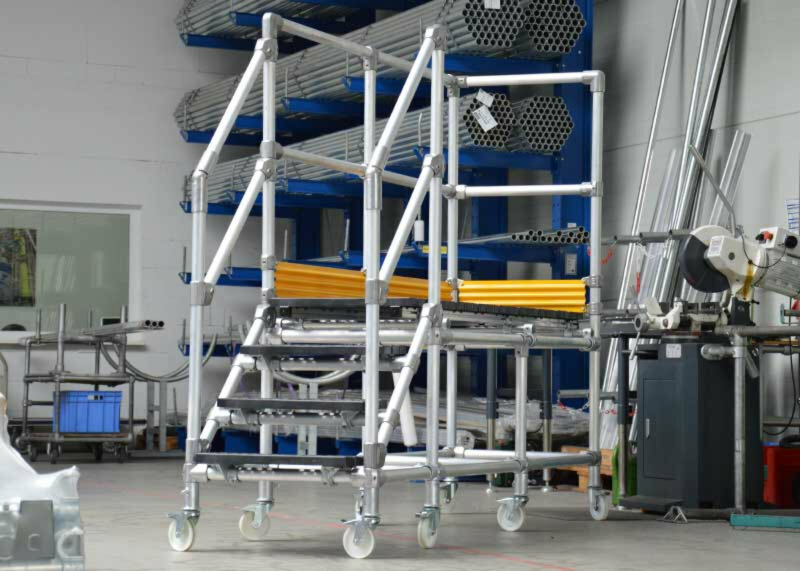 Because of the unique flexibility of the fittings and pipe used to build Safe Access Platforms, sections can be shipped unassembled or semi-assembled to save on shipping costs. 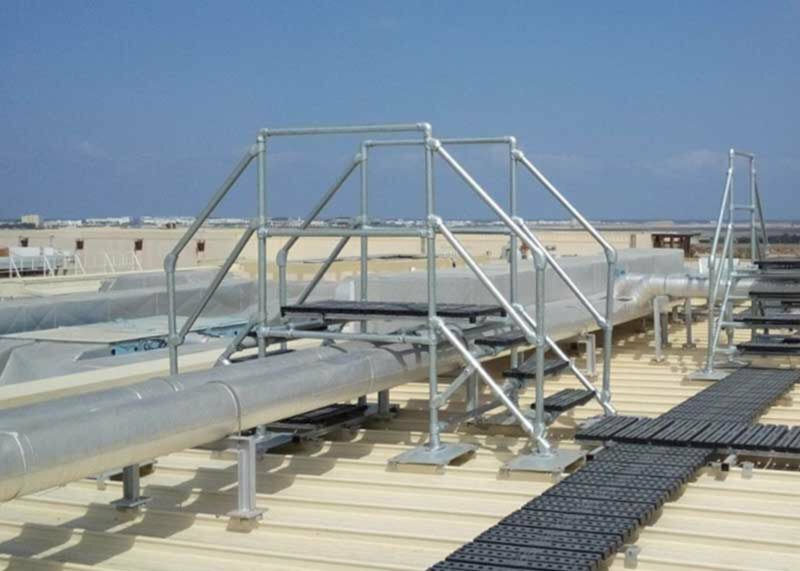 Since no welding is involved, Safe Access Platforms can be designed, built, and implemented faster than welded solutions. A customized platform can arrive at your facility in nearly half the time as a fabricated platform. 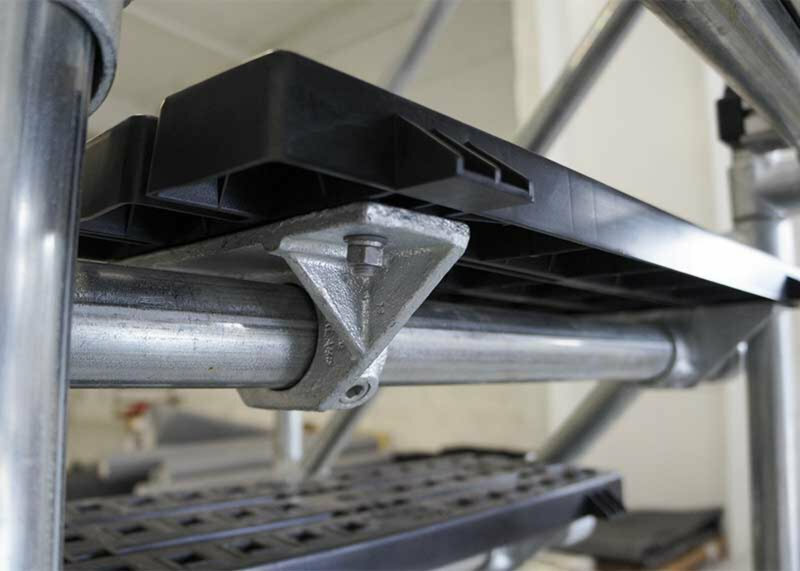 Modular sections allow Safe Access Platforms to be expanded or modified on site. Our kitted solutions allow you to quickly configure a solution for your situation without additional design time overhead. The staff is very knowledgeable and looks to find the best solution for your request. They make sure that before an order is placed, all areas have been covered and the customer is completely satisfied. 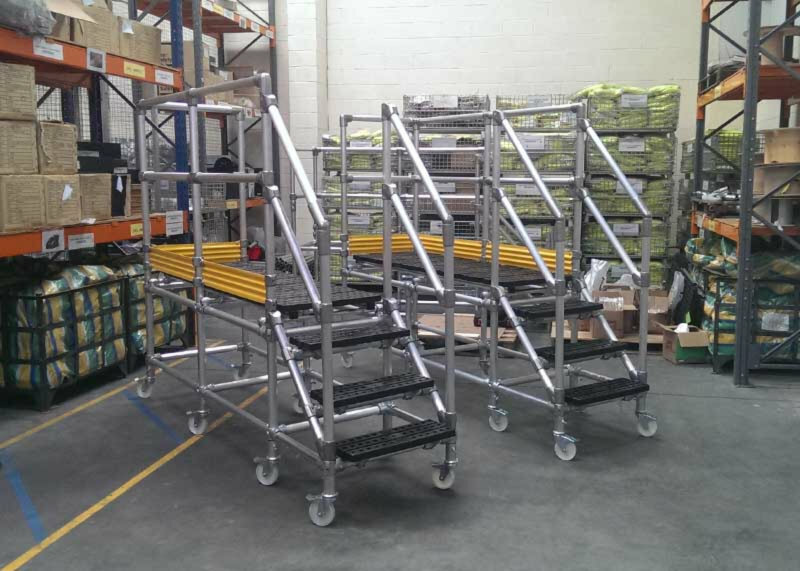 Platforms can be rolled across the facility or up to the work area to provide safe access to a variety of locations. 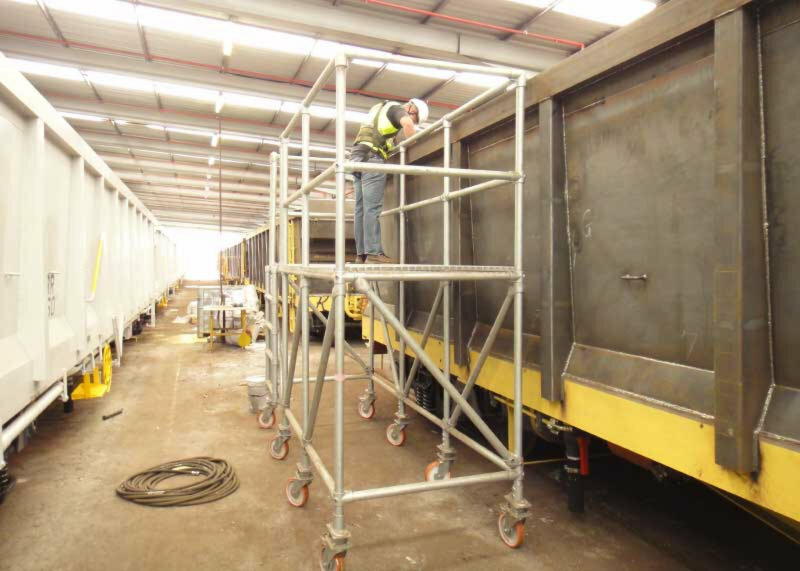 Platforms can be partially or completely disassembled for transport and reassembled on site. A feature that would not be possible in a welded platform. 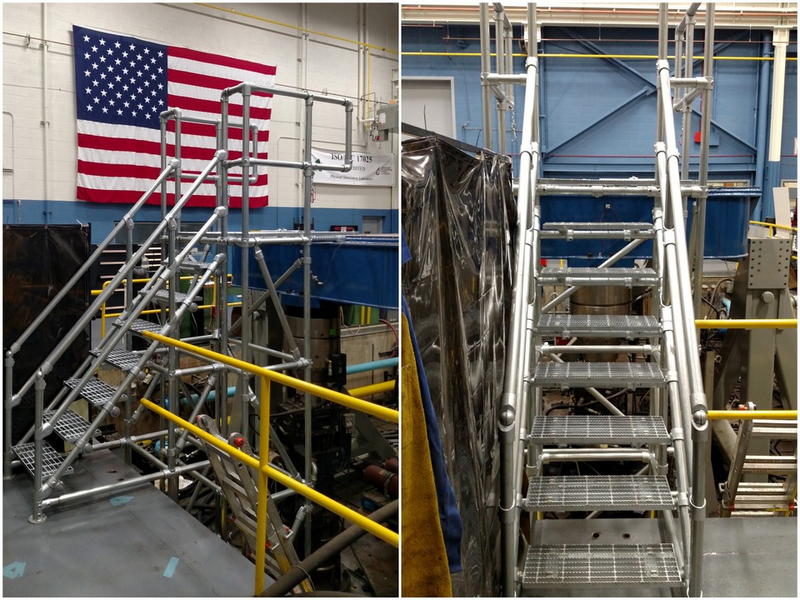 Custom work platforms can be built to be adjustable in height, length, or width. 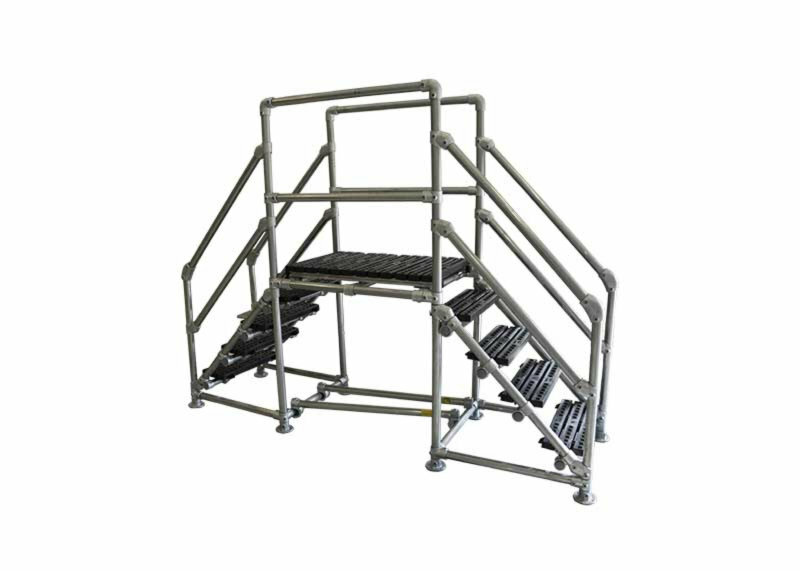 This allows for platforms to be adapted to any work situation or requirement. Custom solutions can be built to meet your specific needs perfectly. And should your needs ever change, our platforms can be adapted using many of the same original components to fit your new desired use. 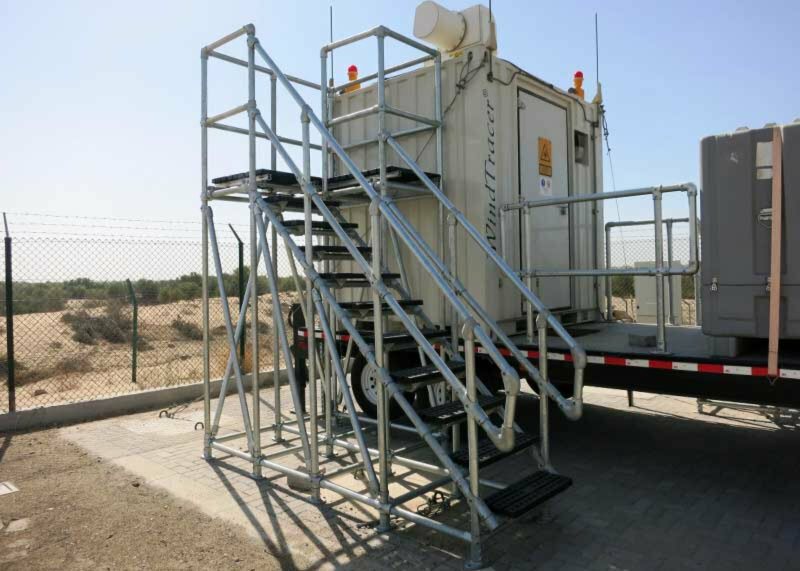 The Safe Access Platform pictured here is stationed at a U.S. Army facility. 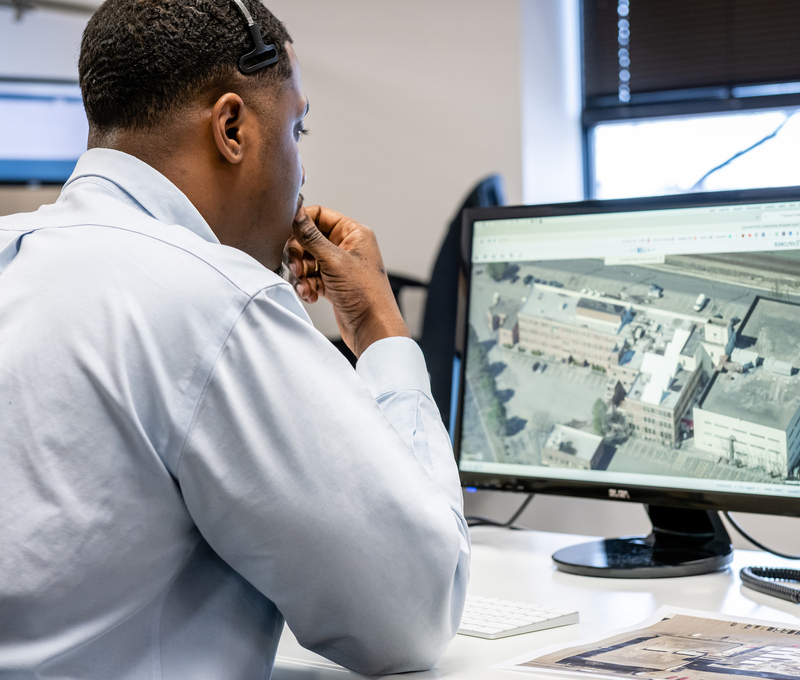 Terry, a simulation expert for the U.S. Army, reached out to Simplified Safety to find a solution to access the top of a simulator for testing products. Safely crossover pipe and air ducts that are present in almost all factory and warehouse facilities. Letting your workers cross over these without a platform puts them at risk of injury. Safe Access Platforms can be adjusted, rolled, and moved into position to access machinery that would otherwise be difficult to get to. 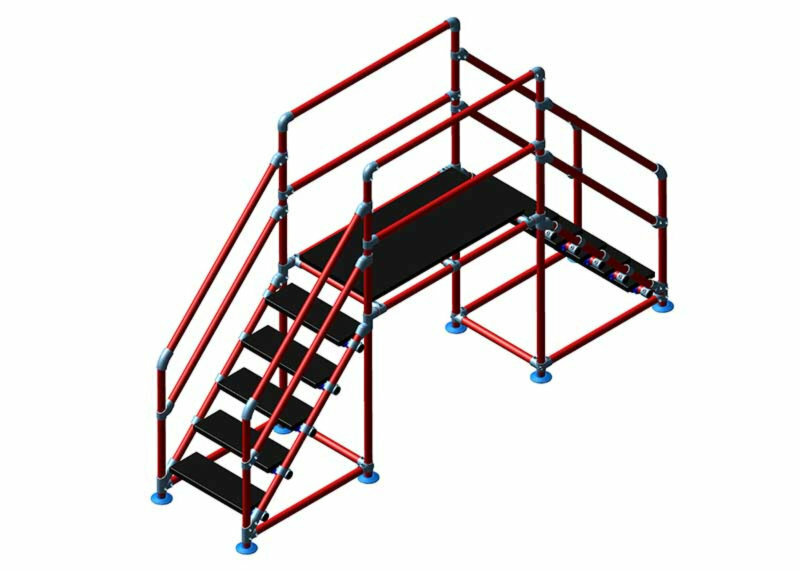 Ascend or descend roof elevation changes with platform ladders or stairs. 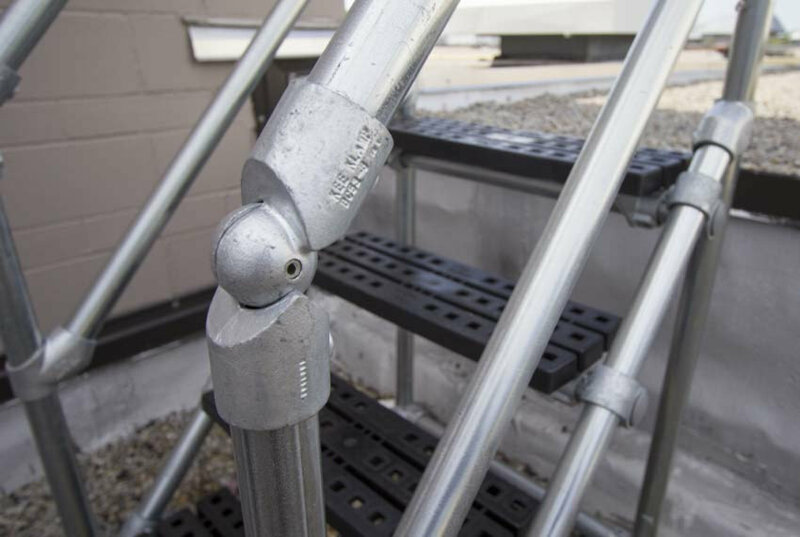 Work platforms feature tracking for safe footing and railing. This provides three points of contact when changing elevations. 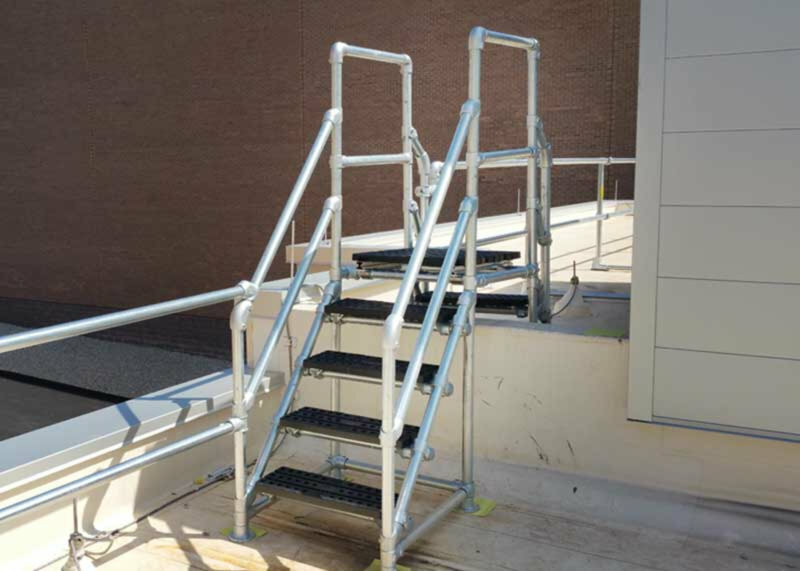 Safe Access Platforms provide access to mobile equipment that would otherwise be inaccessible or would put workers at risk of injury without a working platform. 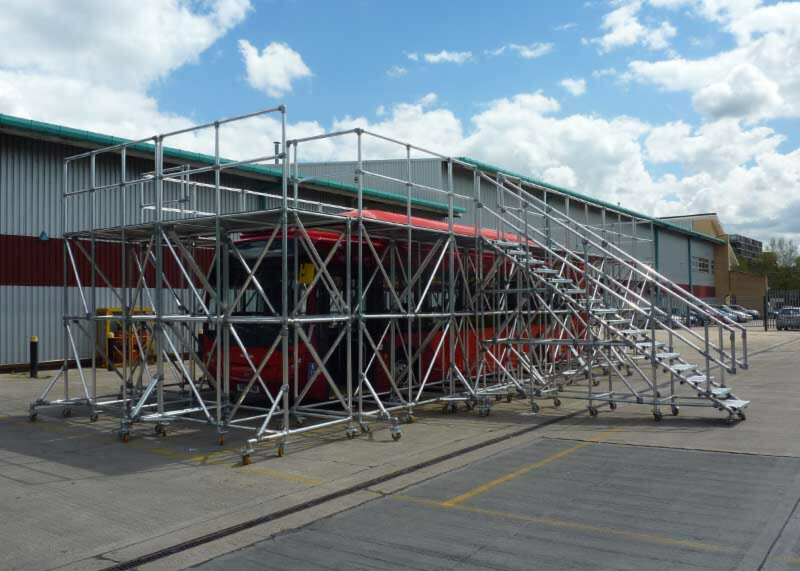 Buses, trucks, and mobile machinery are easily accessible with a Safe Access Platform. Dive deeper with our Fall Protection Specialists. 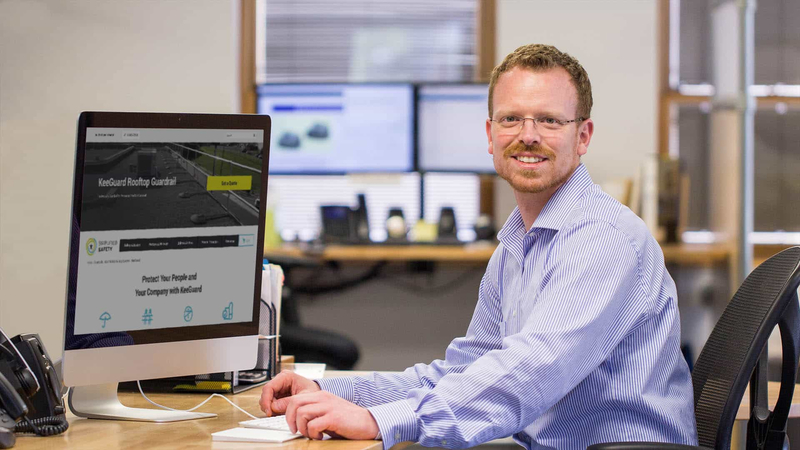 We will analyze your roof together using satellite imagery to ensure all fall hazards are protected, and Federal OSHA and local building codes are compliant. We want to make sure you have a comprehensive solution. Quote on a Safe Access Platform?